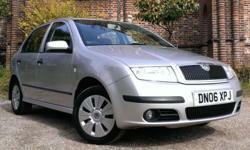 FOR SALE FROM JLM MOTORS WE HAVE A SKODA FABIA 1.2 VRS REPLICA IN SILVER. THIS CAR HAS A LONG MOT. 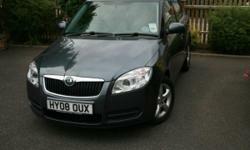 THIS IS THE 1.2 3 CYLINDER ENGINE, FANTASTIC ON FUEL AND ON INSURANCE, THE PERFECT STARTER CAR, BUT WITH THE LOOKS OF THE FABIA VRS. NO NEED FOR A BASIC LOOKING SMALL ENGINED CAR! 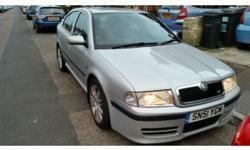 THIS HAS ALSO BEEN TASTEFULLY LOWERED USING VRS FRONT SPRINGS AND COIL OVER REAR SUSPENSION. PLEASE SEE OUR OTHER ADS AND WEBSITE. PLEASE CONTACT JOHN ON 01202 920964 OR 07821796783. WE ARE OPEN 8AM TILL 6PM MONDAY TO FRIDAY AND 8AM TILL 4PM SATURDAYS. WE ARE NOW OPEN ON SUNDAYS! At JLM Motors we sell quality used vehicles at a competitive price, offer a wide range or warranties and aftercare for your vehicle, all on site. 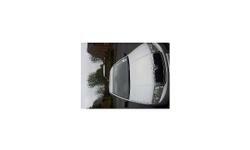 We also carry out every type of repair, from the simple oil change to engine rebuilds. We are able to carry out full diagnostics of just about every vehicle and have our own recovery vehicle to collect any broken down vehicles that may need repairs. We have extensive knowledge of all of our vehicles and are mechanically minded, ensuring all our vehicles are as you'd expect or better and leave with a safety inspection. 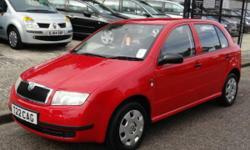 Most of our cars are sold with 12 months Mot and all our cars over £1200 are sold with 3 Months warranty as standard. We have full workshop facilities, so we are happy for you to join our increasing list of customers, of whom we maintain their vehicles, cars and commercial.